The third annual regional preliminary competitions for the Annecy/MIFA Pitches Animation du Monde, organised by the African Animation Network (AAN), are set to take place from June 10 to 15 in France. The mission of Animation du Monde is to give animation projects in developing industries around the world the opportunity to participate at the biggest animation-focused pitching forum in the world. The June event will see creatives from across the African continent vie for a place in the 2020 pitch competition in France. 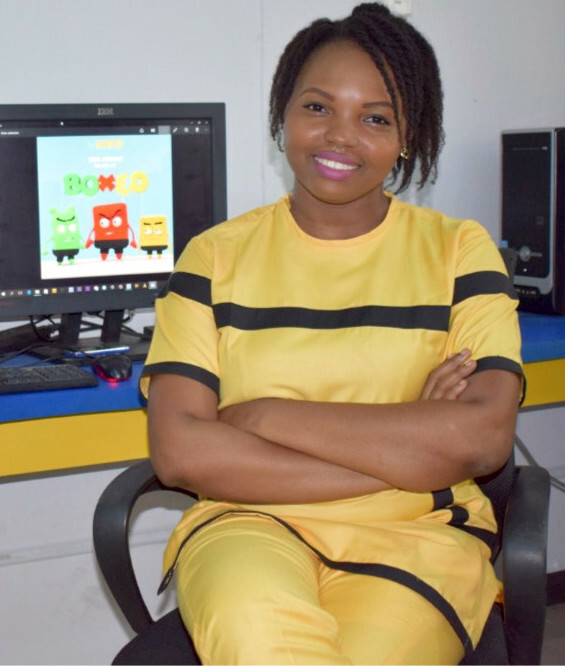 Dami Solesi, CEO and creative director of Lagos-based Smids Animation Studios, is one of the duo selected to represent Africa at the Animation du Monde Finals coming up in June, 2019 and Content Nigeria interviewed her to find out her views about the upcoming finals. “I have always been passionate about animation and cartoons. I have a mission to tell African stories through animation to a global audience with a unique focus on kids and family entertainment, which we have started with our miniseries Boxed and now our new TV series The Makerbolts,” Solesi said. “These two shows are just the first in an array of content we hope to bring to our global audience. We all know how the content landscape is changing around the world and Africa can’t be left out. That’s why we are here,” she added. “We are extremely excited to be one of two companies representing Africa and the first Nigerian studio. We can’t wait for June. It has been a long, hard journey. We decided to go this route about three years ago. Though it has had its ups and downs, we are extremely honoured to have got this far and do hope to put Africa – and specifically Nigeria – on the map by winning at the 2019 Animation du Monde this June. “This is our first global nomination and we are so excited. This is the first of many, from here we believe the sky would be our beginning so we intend to win many more nominations,” she added. She also elaborated on her project, The Makerbolts (52×11’), which is a 3D animated TV series. “We are super excited about the show. It follows the adventures of best friends Zina, Bini and Toni in a fictional city of Lagville where they build all sorts of fun gadgets with scraps from an abandoned junkyard,” Solesi explained. “Each episode they have challenges they have to solve, ranging from everyday challenges to fun adventures to solutions that help the larger community. “With this show we hope to showcase the ingenuity of these children in a fun and adventurous way. We do hope it not only entertains our audience but also shows how smart and resourceful kids in Africa can be,” she said. “We have high hopes for the event: to pitch our show, win the competition and sign a deal to produce our show as well. But we also hope to showcase some of our other shows to content with buyers. However, we do hope to learn about the global content market first-hand. Solesi said she was hopeful for the future of the animation industry in Nigeria and Africa and firmly believed that Africans can achieve massive feats in the content industry. Smids Animation Studios is one of Nigeria’s foremost animation studios and focuses on developing creative content for kids and family entertainment meant for audiences around the world. The company offers end-to-end production services for high-end commercials, TV series and films. 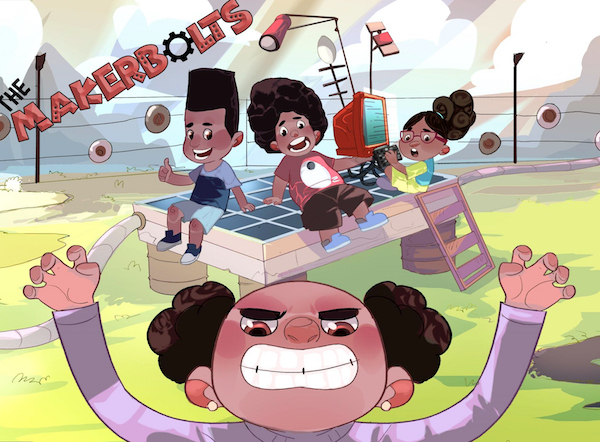 At the 2018 continental finals at Discop in Johannesburg, Solesi’s The Makerbolts and The Trouble Makers presented by Nildo Essa from Mozambique won the two places to represent Africa at the 2019 Animation du Monde Finals.